Jude and I have a book in which we write and keep our bucket list, or really bucket lists. 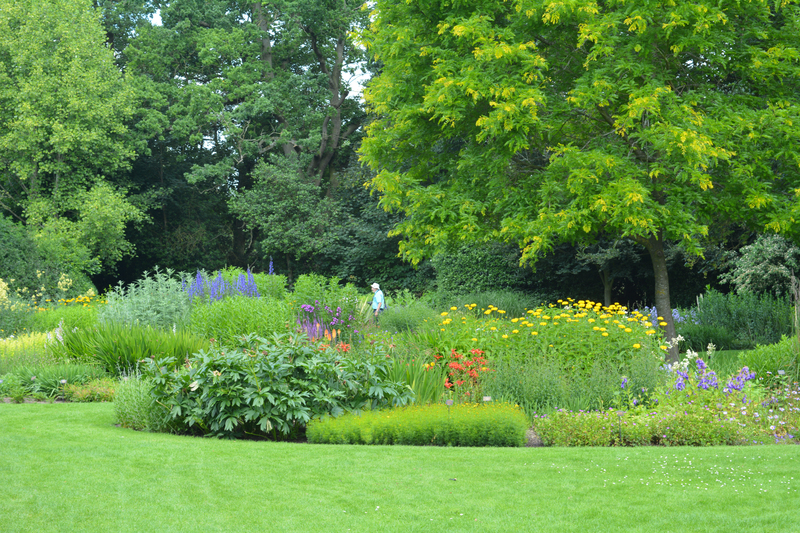 We keep lists of places to visit, gardens to visit and activities to try out. We add to them throughout each year and revamp and edit them at the beginning of each new year. 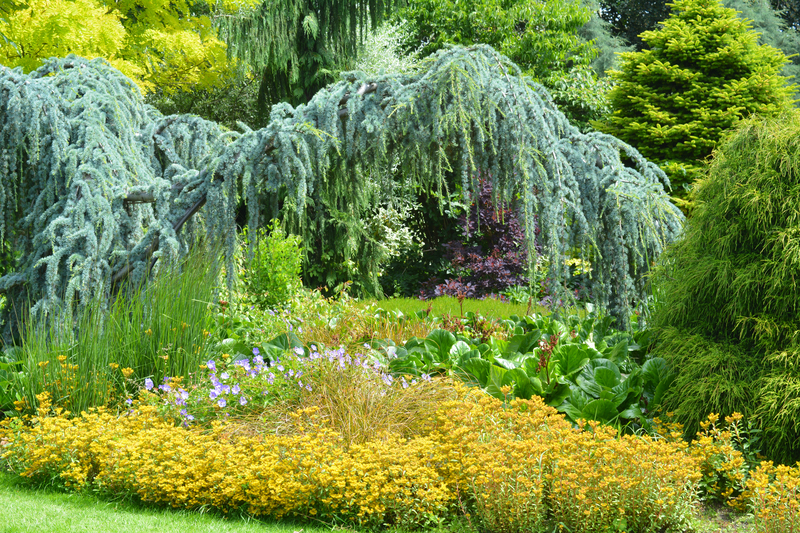 Our gardens to visit list has contained one particular garden we wished to visit for 3 or 4 years and it was in the summer of 2016 that we finally successfully got there, The Bressingham Gardens. 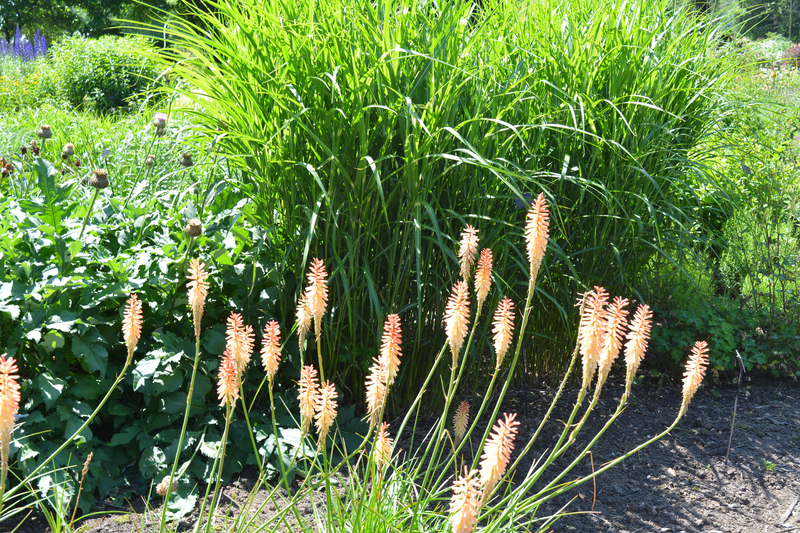 We looked forward to seeing how they used grasses throughout the gardens and to experiencing enjoying so many beautiful herbaceous perennials. 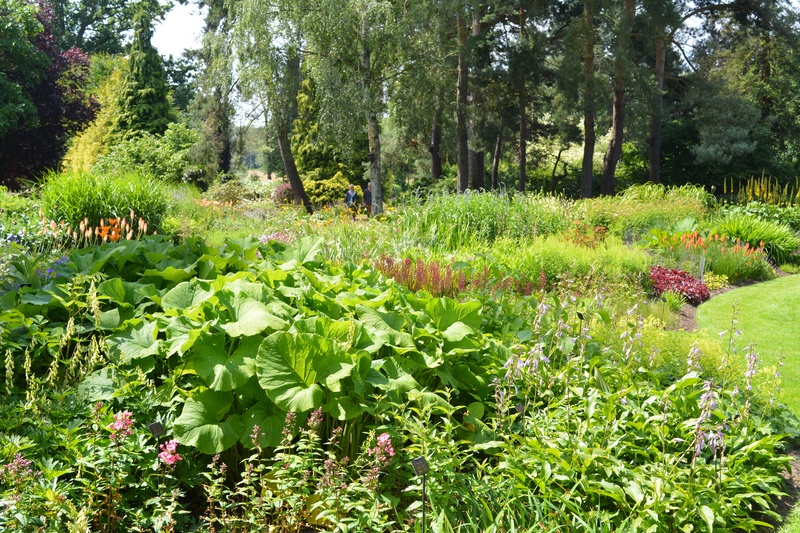 We also hoped that the on-site nursery would give us access to some unusual perennials bred at Bressingham and difficult to get elsewhere, and we particularly hoped to buy some Sea Hollies. 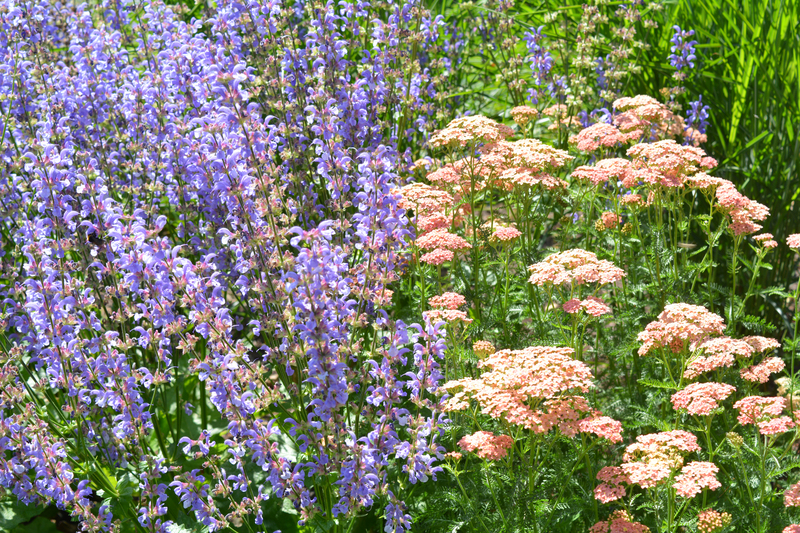 Blooms are particularly well-known for their Achillea, Crocosmia and Kniphofia developments, such as C. Lucifer and K. Toffee Nose. 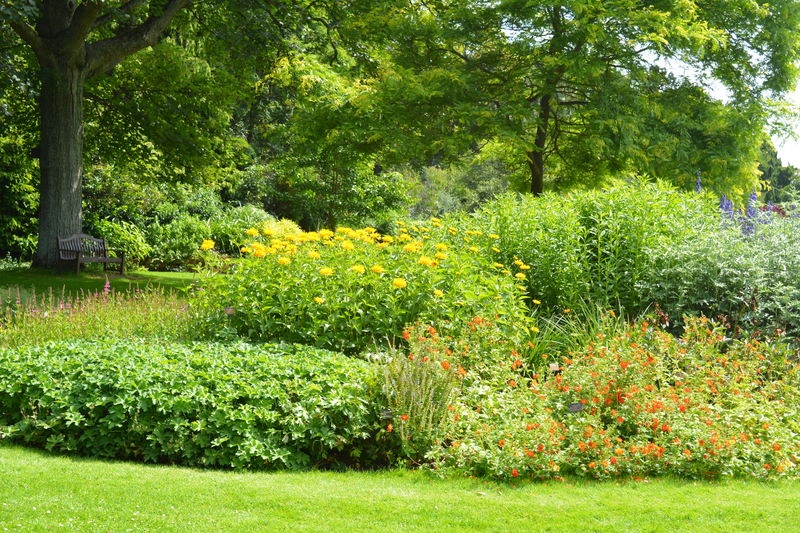 These expansive gardens are like a calm green sea of short cut grass broken up by island beds exploding with colourful mixed plantings. 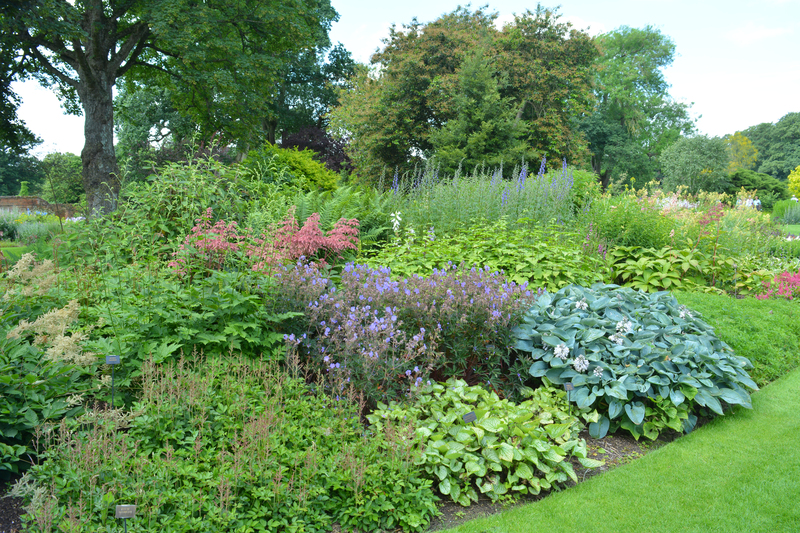 Areas of shade are essential in any open aspect garden, and here small deciduous trees are used throughout to add small patches of shade along pathways, and most of these trees have interesting coloured foliage to add another layer of interest. 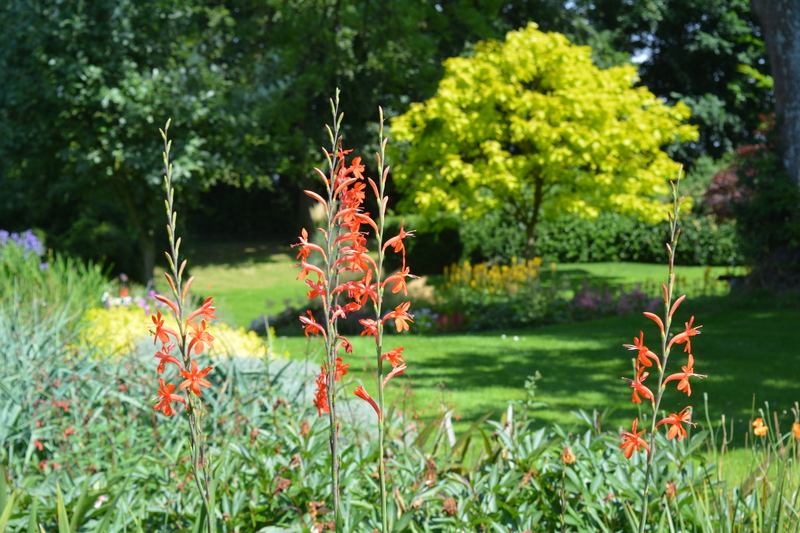 We enjoyed the richness of warm colours working together beautifully when caught by the sunshine, and contrasting colours shining out in the borders. 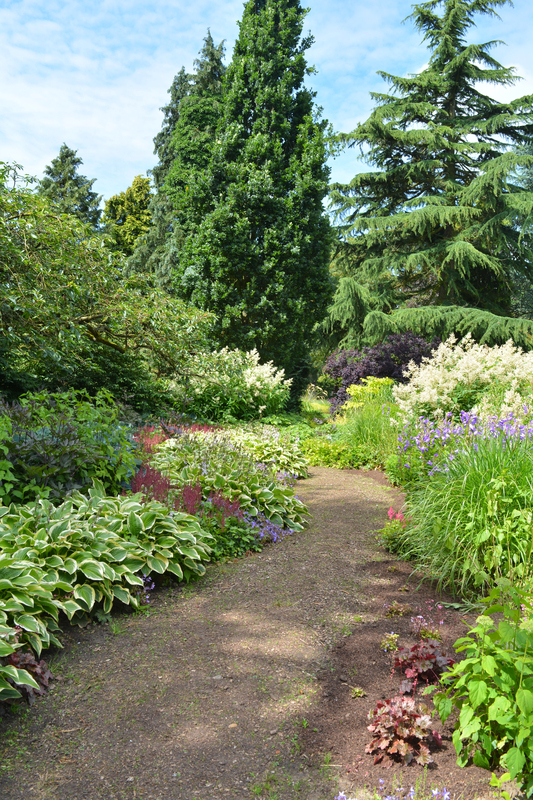 Coniferous evergreens are a special feature of the gardens as they are a particular love of Adrian Bloom one of the family who designed, maintain and own the gardens at Bressingham. Here they appear in every shade of yellow, green and blue with shapes of all sorts some extreme shape, from narrow, upright sentinels to drooping waterfalls. 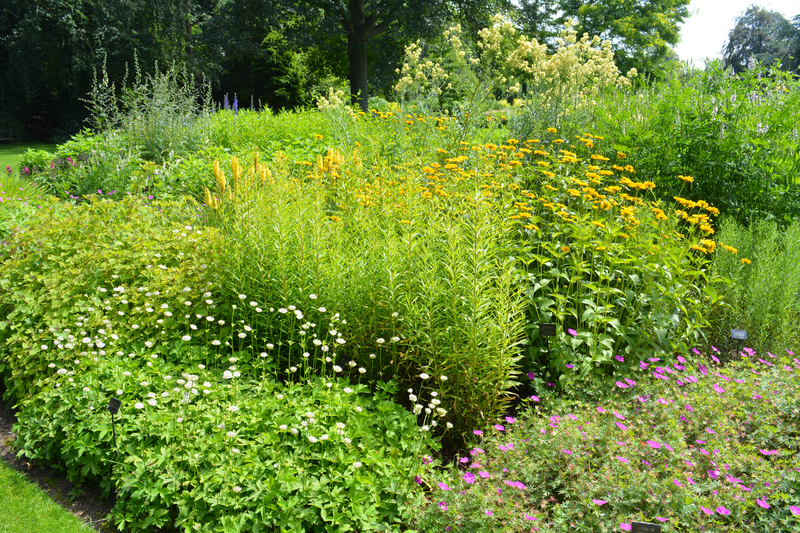 They also feature within the tall windbreaks planted all around the site to protect the wide ranging plantings within the gardens. 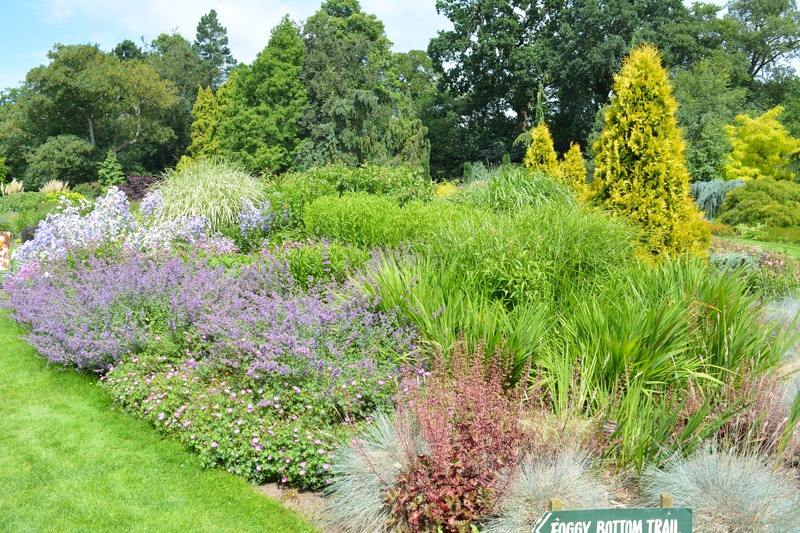 In my next blog we will return to the gardens at Bressingham and take a look at how grasses are used to good effects. 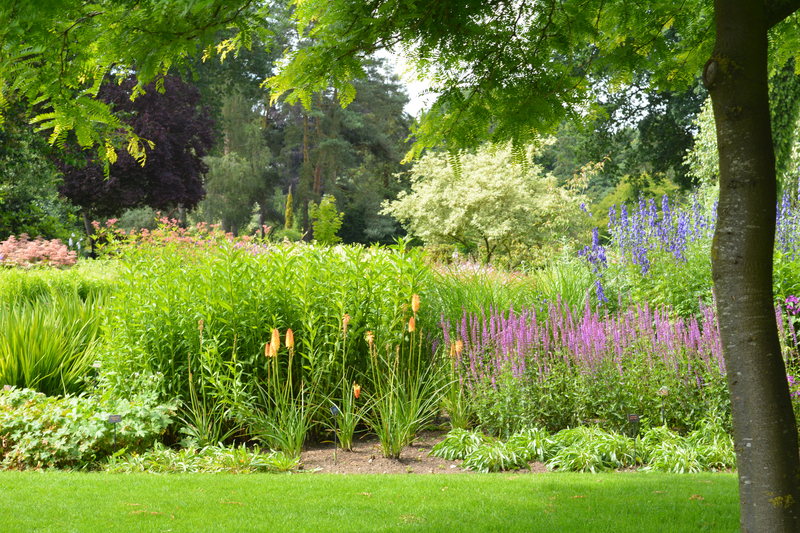 A big disappointmetn at Bressingham is that the nursery there has been sold to a massive national chain of garden centres, so the plants were the same old same old! So sad! 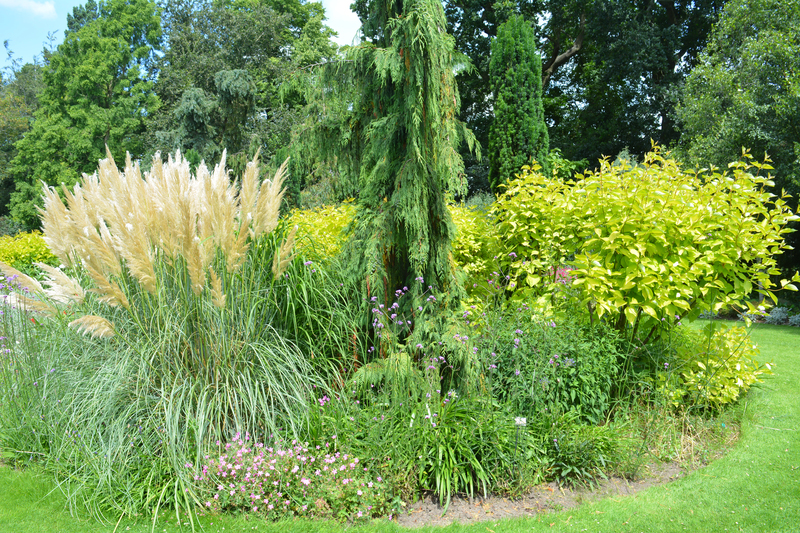 This entry was posted in colours, garden design, garden photography, gardening, gardens, gardens open to the public, grasses, hardy perennials, light, light quality, ornamental grasses, ornamental trees and shrubs, trees and tagged Blooms, Blooms of Bressingham, Bressingham, Bressingham Gardens, conifers, Crocosmia Lucifer, crocosmias, hardy perennials, hardy plants, herbaceous borders, herbaceous plants, island beds, island borders, mixed borders, Norfolk, ornamental grasses, ornamental shrubs, ornamental trees. Bookmark the permalink. Those garden are full and lush. Just beautiful. Interesting they have a nursery too. The Blooms stuck with conifers through all their unfashionable years and doesn’t it look good now. Some of them now are too big or ungainly so the gardeners are sculpting them and raising their skirts to let more light in.